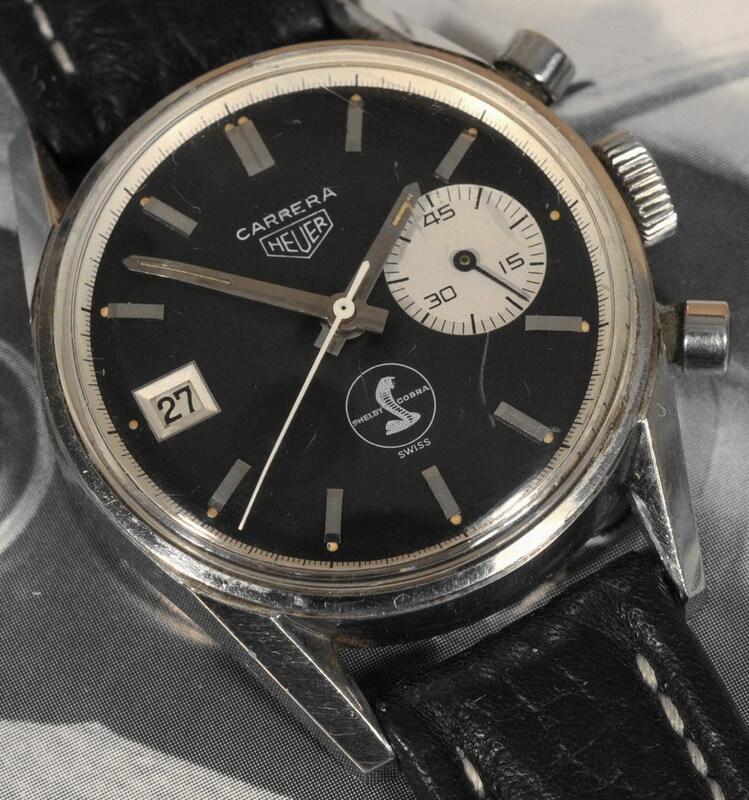 On Monday, January 21, 2013, I attended the opening of TAG Heuer’s “50 Years of Carrera” celebration, in Geneva, and on Tuesday, January 22, I visited TAG Heuer’s Museum, archives and factory, in La Chaux-de-Fonds. I will cover these two amazing days in two separate “Scrapbook” postings, with this posting covering the Carrera celebration in Geneva and a second posting covering the visit to TAG Heuer’s headquarters. In addition to these Scrapbook postings, I will also post more detailed write-ups covering specific interviews, watches and experiences. 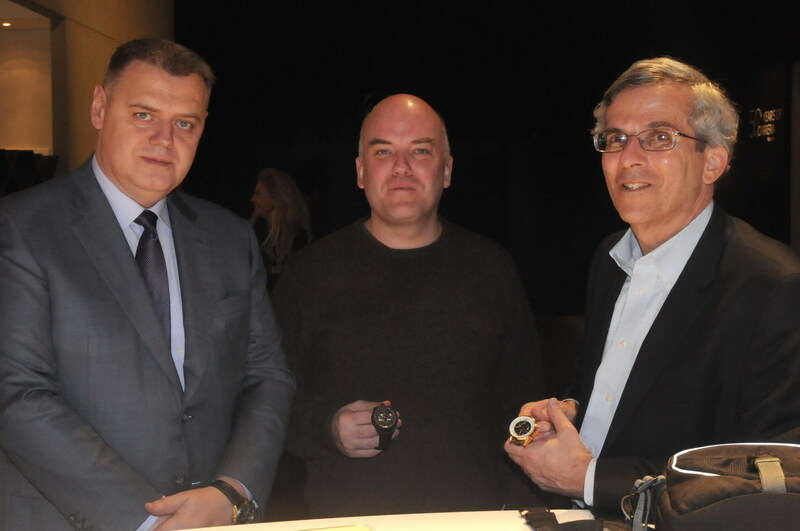 There are two major watch exhibitions each year, January in Geneva and March (or April this year) in Basel. 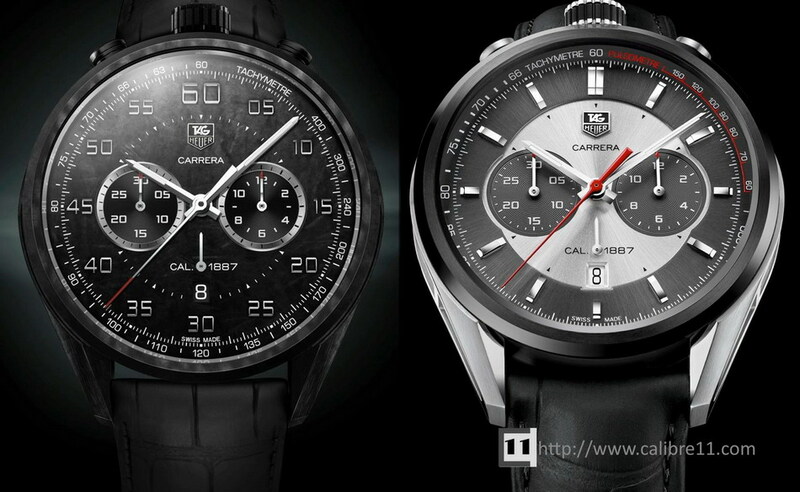 TAG Heuer chose to launch its “50 Years of Carrera” celebration in Geneva, on January 21. Hey, if you’re going to have a year-long celebration, better to start in January than in April! 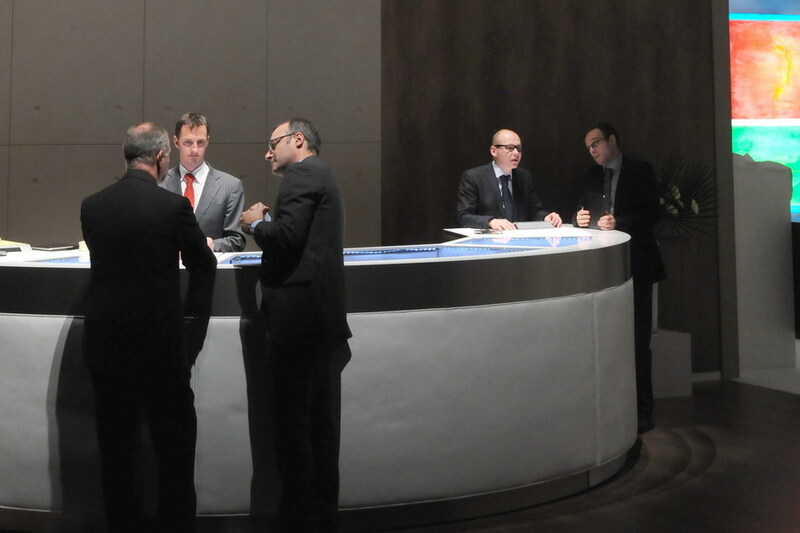 TAG Heuer staged the event at the Secheron Hall, located a few miles from the center of Geneva. 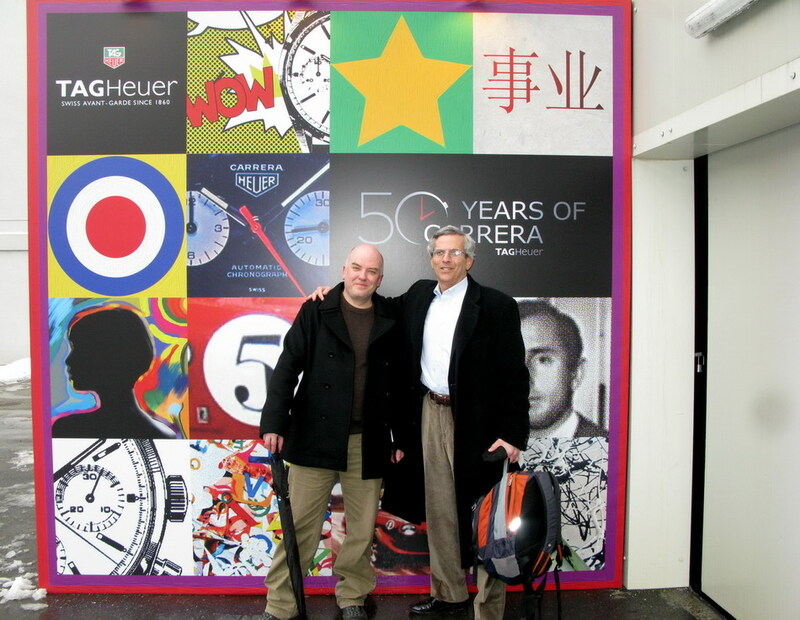 Here are Mark Moss and me, as we are about to enter the TAG Heuer exhibition space. They say that you only get one chance to make a first impression, and the two ladies who welcomed us at the event certainly made a favorable impression. 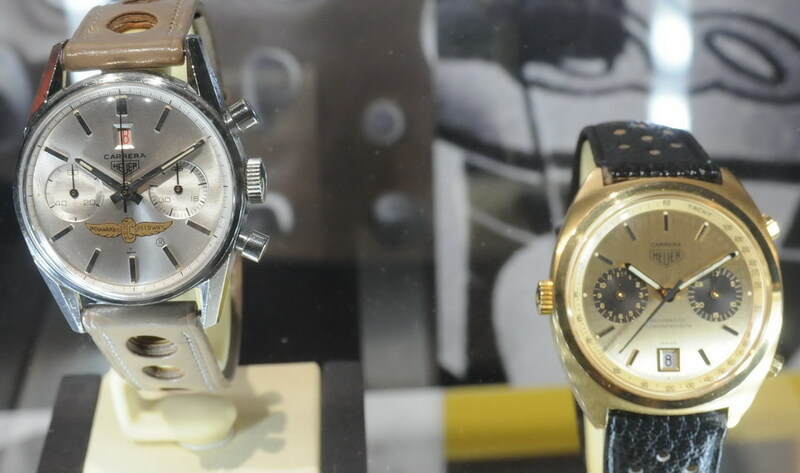 You see, both were wearing vintage chronographs, one was a Reference 7754 Skipper (which was derived from the Carrera) and the other a Carrera Reference 2447 SNT, a very rare Carrera that evokes the image of racing, with the contrasting subs and decimal minutes scale. What a great touch for TAG Heuer to outfit these lovely ladies with vintage Carreras (to match the vintage style of their dresses). This sort of attention to detail was apparent in every aspect of the Carrera celebration. 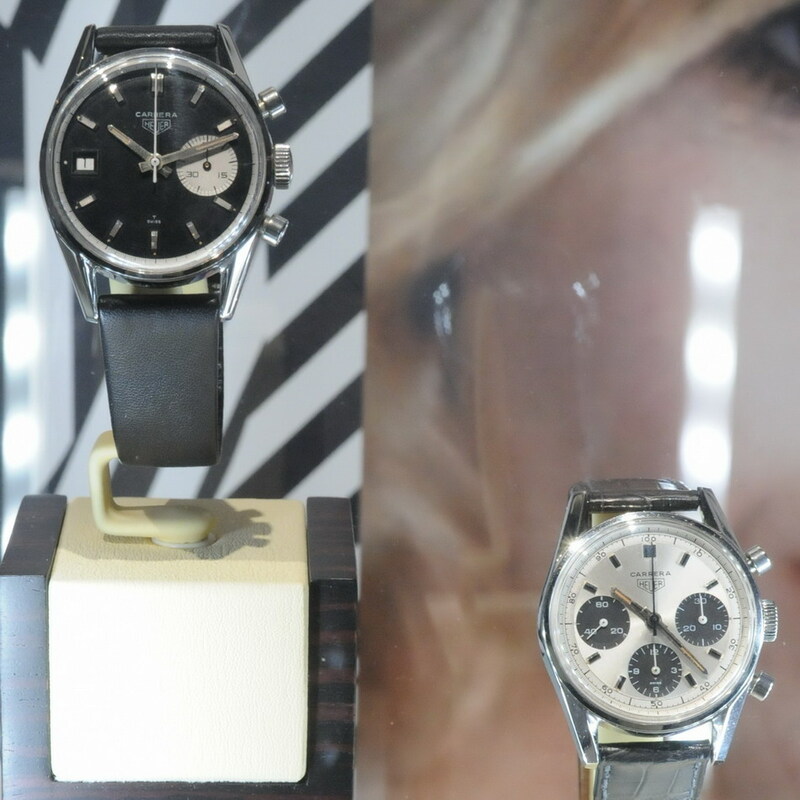 If the “Greeters” evoked the spirit of the 1960s, with their dresses and watches, TAG Heuer changed the pace just a few feet up the hall, as we proceeded toward the main exhibition space. 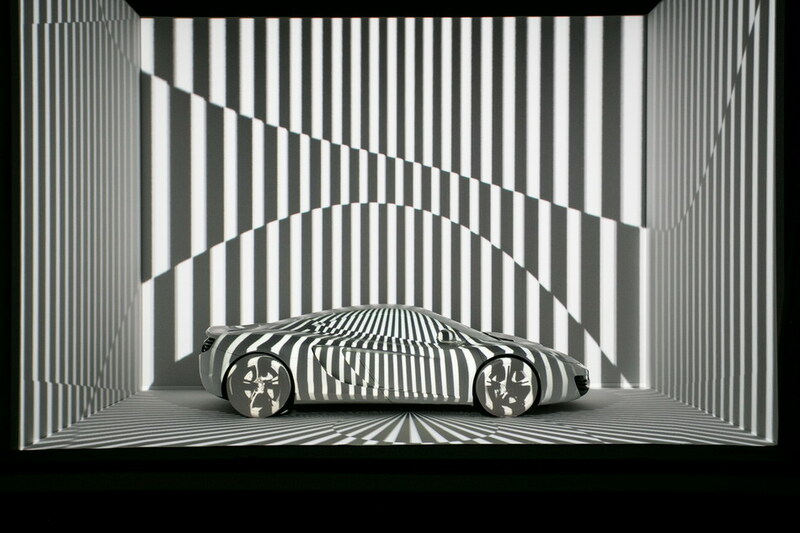 There, we saw an absolutely stunning high-speed animation (which TAG Heuer calls a “Mapping”). 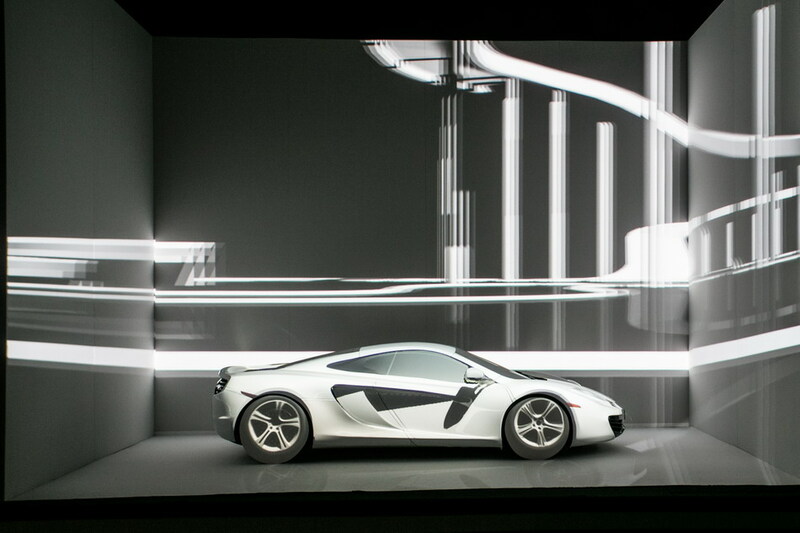 Here’s the formula: (a) take a McLaren MP4-12C, (b) completely cover it with white decals, (c) project images onto the car in a high-speed animation, and (d) add high energy, high decibel music. 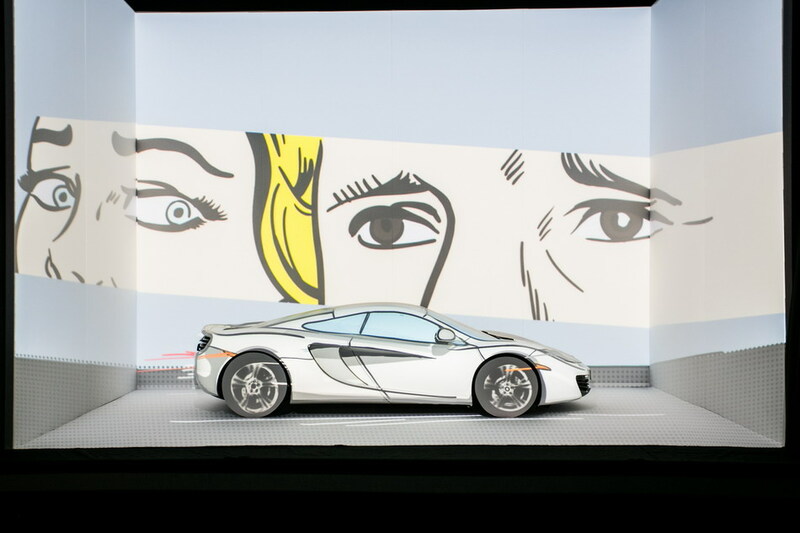 Most of the images projected onto the McLaren were geometric, but we also saw Jack Heuer hop into the car and some cartoon characters of the 1960s. 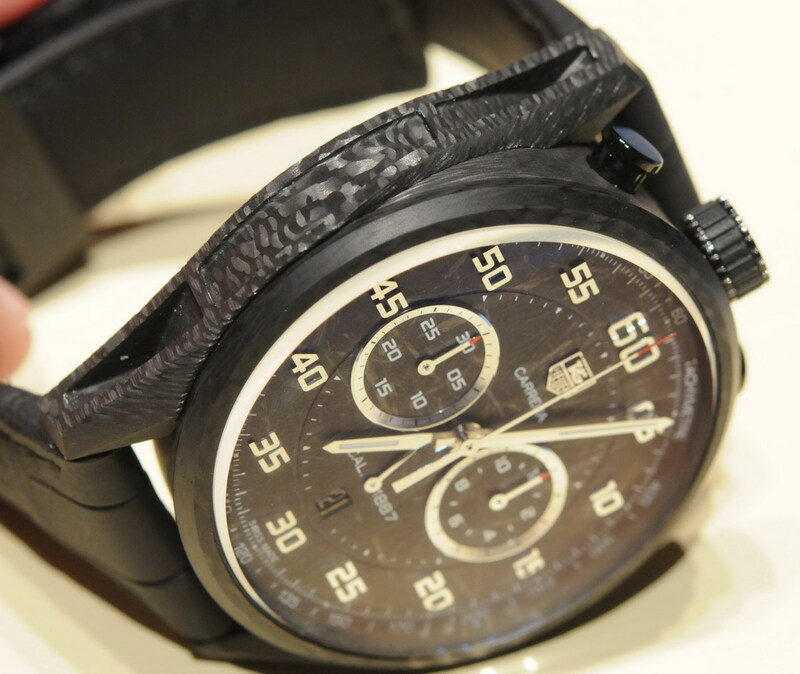 In just a few feet, TAG Heuer has taken us from the 1960s into the future! Here is the video of the “Mapping”; be sure to watch for Jack Heuer at around the 3:40 mark! 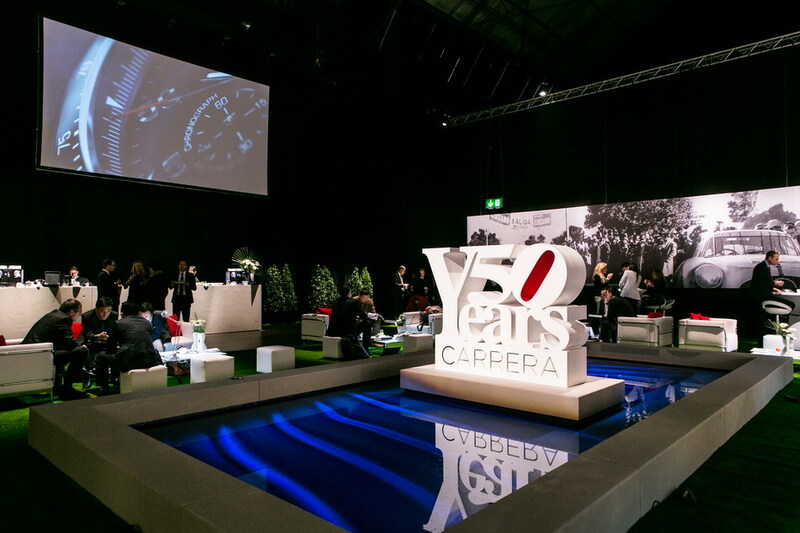 The exhibition space for the “50 Years of Carrera” celebration was absolutely beautiful. 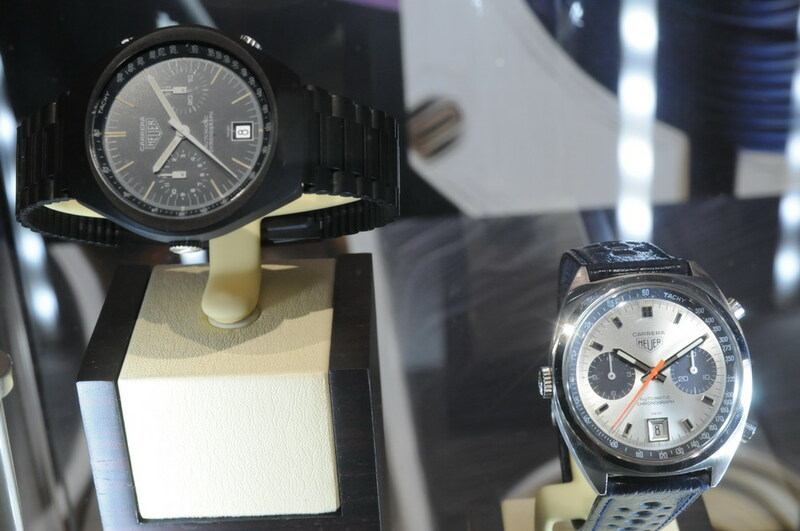 TAG Heuer had divided the space into two large display areas. The left side used primarily black and white images and was dominated by displays covering the first 50 years of the Carrera and the Carrera Panamericana Road Race (which inspired Jack Heuer’s choice of the “Carrera” name). The right side used bright colors on a white background, with artwork that conveyed a sense of the Carrera’s place as a design icon of the 1960s. 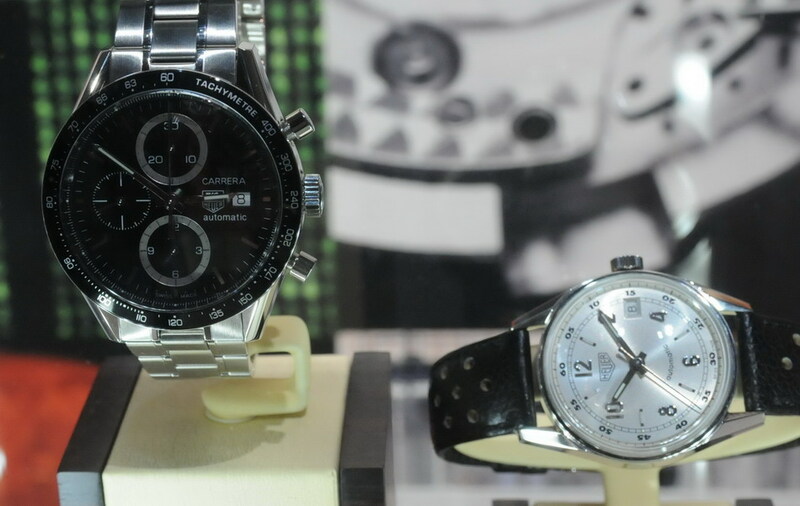 Between these two main large areas was a display of TAG Heuer’s newest watches, about which more below. The three walls on the left side of the exhibition space were dominated by images of the Heuer Carrera and the golden era of racing, with a special focus on the Carrera Panamericana Road Race of the early 1950s. One wall showed videos, in black and white, and another showed a huge image of the Carrera Panamaericana race. The third wall was full of color, with six bright panels corresponding to the decades / themes of the Carrera. In front of each of these six panels was a display of historic Heuer or TAG Heuer Carreras. Like any good watch nerds, Mark and I went quickly to the chronographs, and I was certainly impressed with the selections. Plenty of the icons here, including a first execution Carrera 45 Dato with Indianapolis Motor Speedway logo, a great looking second execution Dato 45, and another Carrera Reference 2447 SND (Panda with decimal minutes scale). Yes, at this point I am understanding why our collector colleagues are bemoaning the scarcity of this particular model . 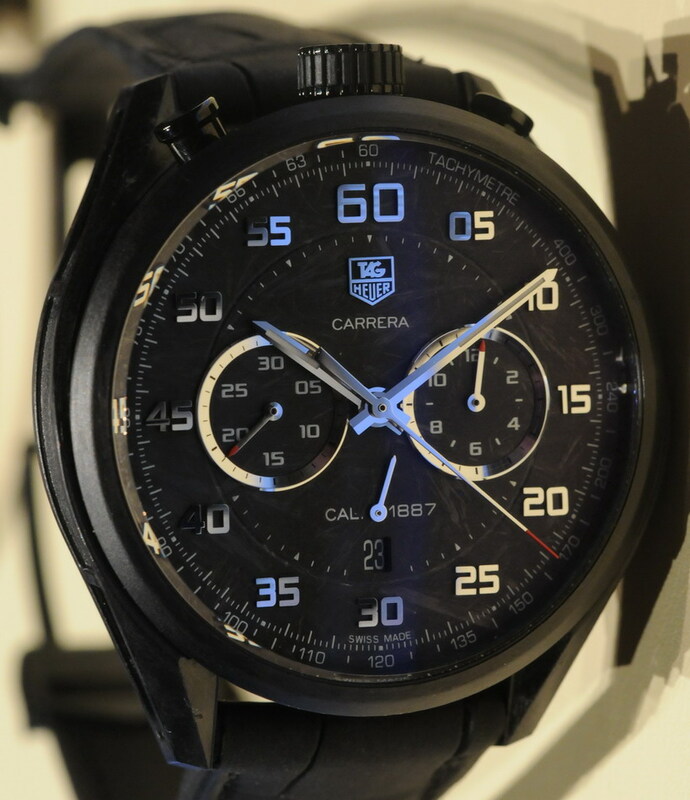 . . it seems that our friends at TAG Heuer have accumulated more than their fair share of these Carreras. Lest anyone worry that TAG Heuer might have missed out on some of their icons, let me point out that there were also trays of Carreras all around the seating area, and without any exhaustive searching, I spotted a Carrera 45 Dato with the Shelby Cobra logo and an 18 karat gold automatic Carrera, Reference 1158. 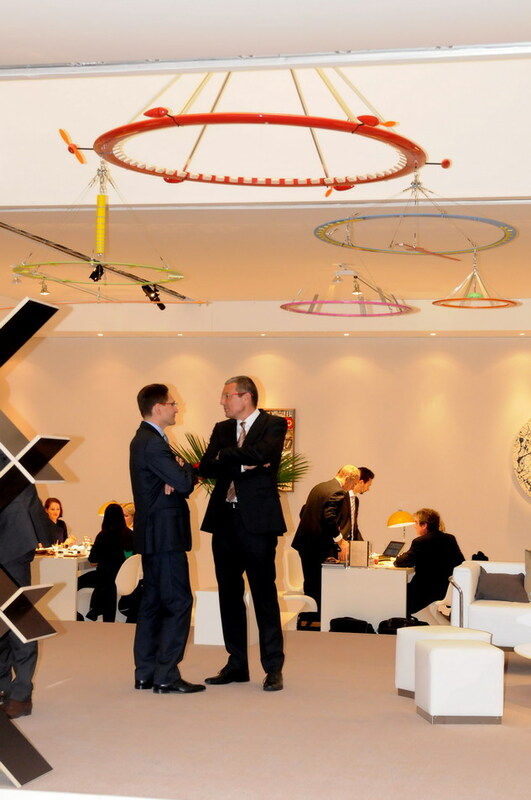 Whoever did the packing for TAG Heuer’s visit to Geneva did a brilliant job of selecting their Carreras. Compared with the left side of the exhibit hall, which was dominated by images of racing and vintage Carreras, primarily in black and white and grays, the right hands side of the hall was light and bright, and featured artwork commissioned by TAG Heuer for the celebration, all of it inspired by the style of the 1960s. 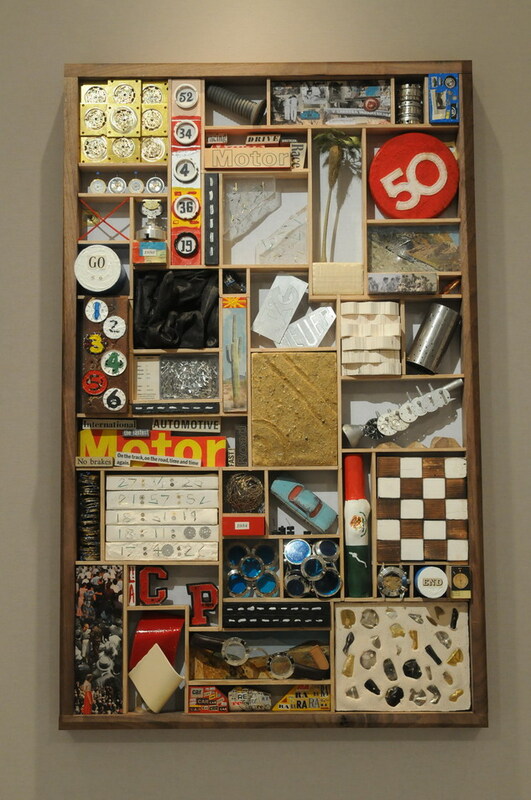 The mobile in the center of the space was inspired by Alexander Calder, a stack of cubes built entirely of watch parts drew on the work of Cesar Baldaccini, and a shadow box inspired by Peter Blake was divided into 50 sections and focused on the five Carrera Panamericana road races staged from 1950 to 1954. 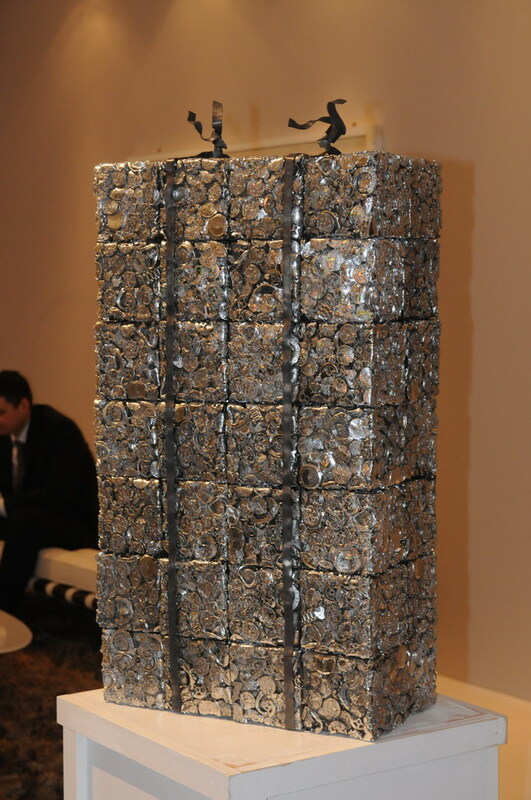 Other pieces drew on the work of Mark Rothko, Jackson Pollock and John Baldessari. This space captured the feel of a living room from the 1960s, but there are clues that this is not just anyone’s living room. It seems to be Jack Heuer’s living room. 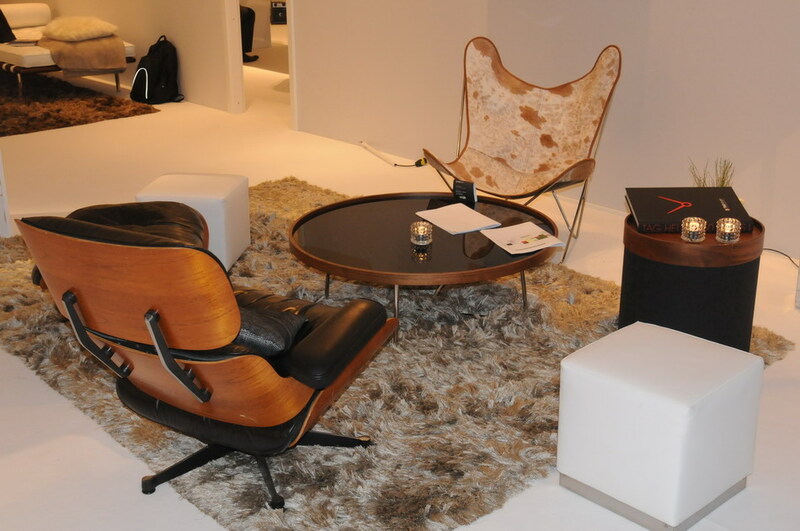 We see the Eames armchair and ottoman, Jack Heuer’s favorite pieces of furniture. Enough About the Display . . . What About the Watches? If you might be wondering whether Jeff Stein has lost his interest in watches, and is now focusing on design and architecture, let me assure you that nothing could be further from the truth. 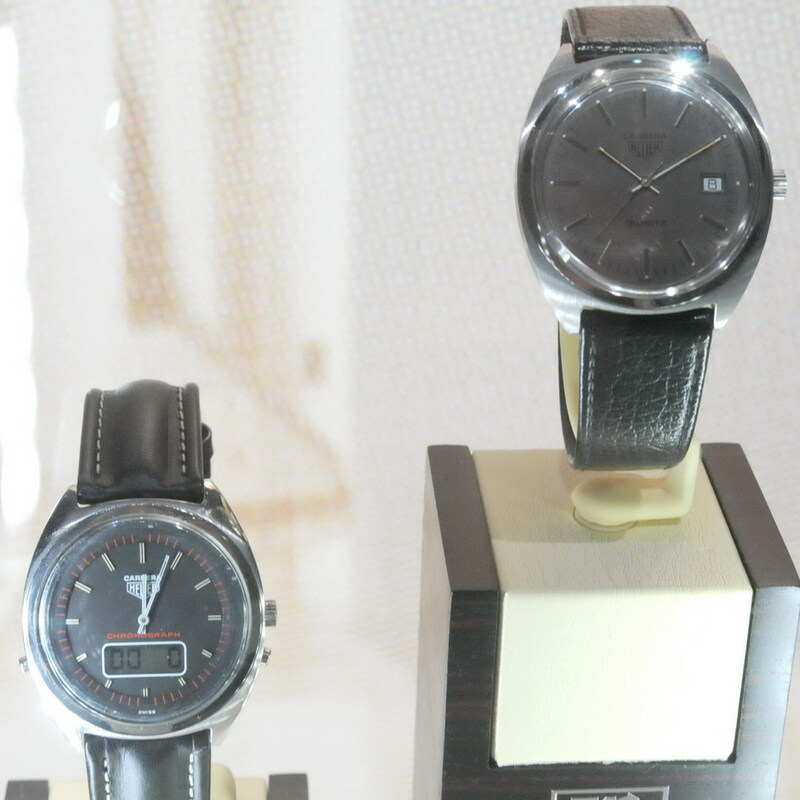 Mark and I spent a lot of time at the display case in the center of the exhibition space, where TAGHeuer was presenting several of its newest models, as well as prototypes of the models that it will soon be introducing. We looked at a lot of watches, far too many to describe in this Scrapbook. So let me show you four of the watches that I especially enjoyed seeing, learning about and — of course — wearing. I begin with a confession. 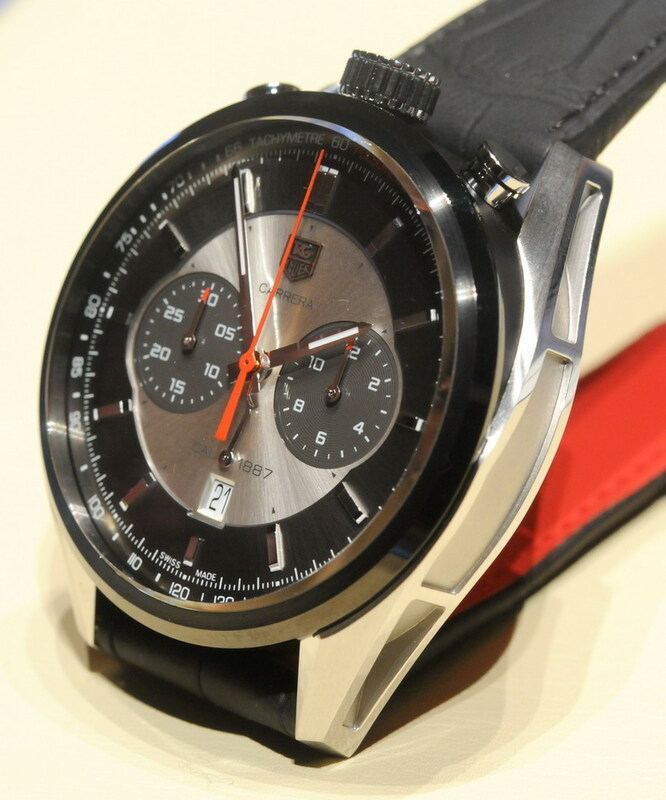 As much as I liked the Jack Heuer 80th Birthday Carrera, launched in Fall 2012, I didn’t buy this watch. Yes, I really liked it . . . a whole lot. Several elements were particularly appealing to me – the large registers, the red accents, the traditional bi-compax design. 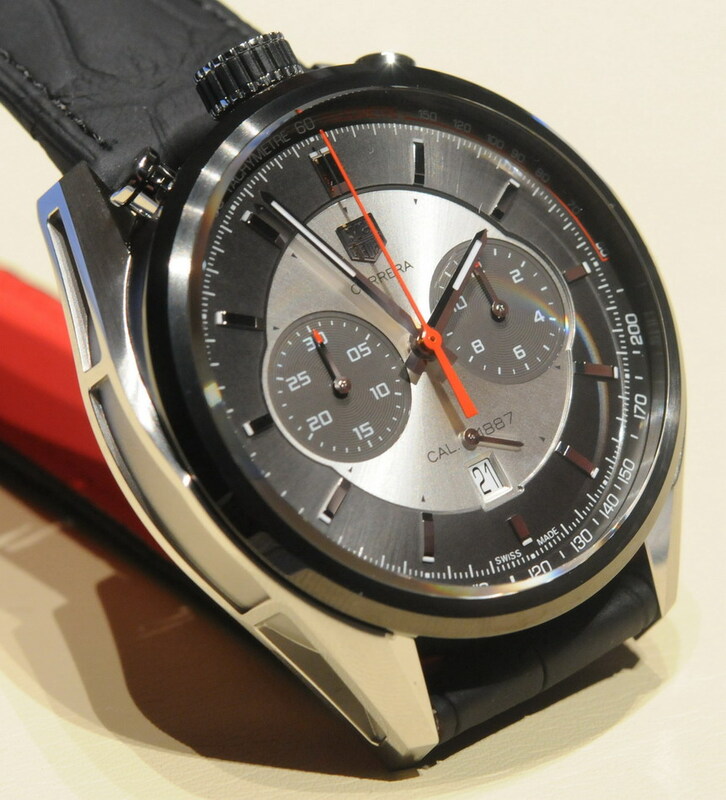 But as much as I admired this watch, I just kept wondering whether there might be a special Carrera coming out in 2013, for the Carrera’s 50thAnniversary, that I might like even better. 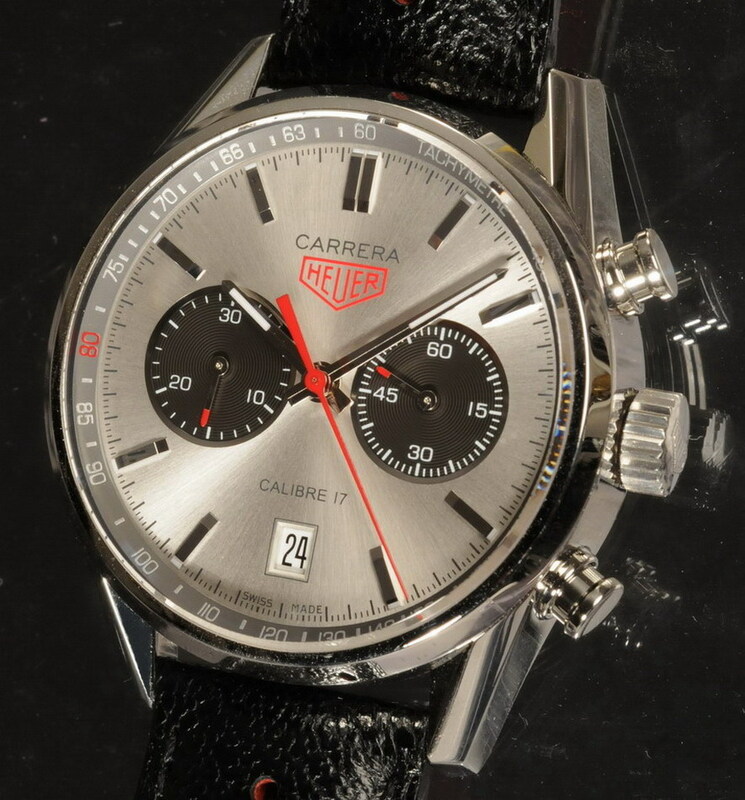 In Geneva, on January 21, 2013, the moment when I first saw the Carrera Calibre 1887 Jack Heuer Edition (which I will call the “Jack Heuer 50th Anniversary Carrera”), I felt much better about having passed on the Jack Heuer 80th Birthday Carrera. You see, as much as I liked the 80th Birthday Carrera, I am absolutely thrilled with the Jack Heuer 50th Anniversary Carrera. 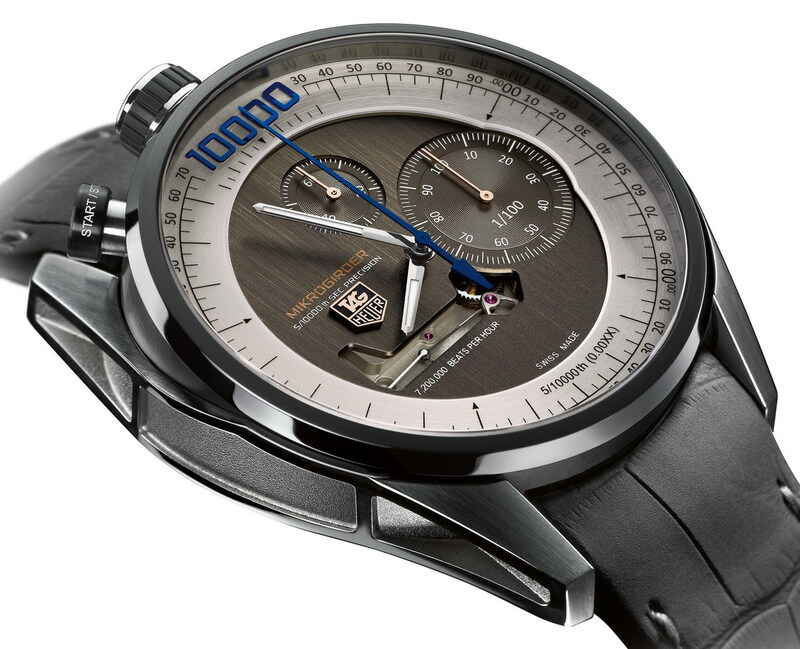 Measuring a hefty 45 millimeters, the Jack Heuer 50th Anniversary Carrera uses the same asymmetrical “bullhead” orientation and skeletonized lugs as TAG Heuer’s Mikrogirder 10,000 chronograph, shown below. (This Mikrogirder was named Swiss Watch of the Year at the November 2012 Geneva Watchmaking Grand Prix, winning the “Aiguille d’Or” award.) The asymmetry comes in the fact that the top is raised, to allow better access to the pushers. The front bezel of the Jack Heuer 50th Anniversary Carrera is coated in black titanium carbide, polished to a bright finish; the base of the case is steel, with a brushed and sandblasted finish. 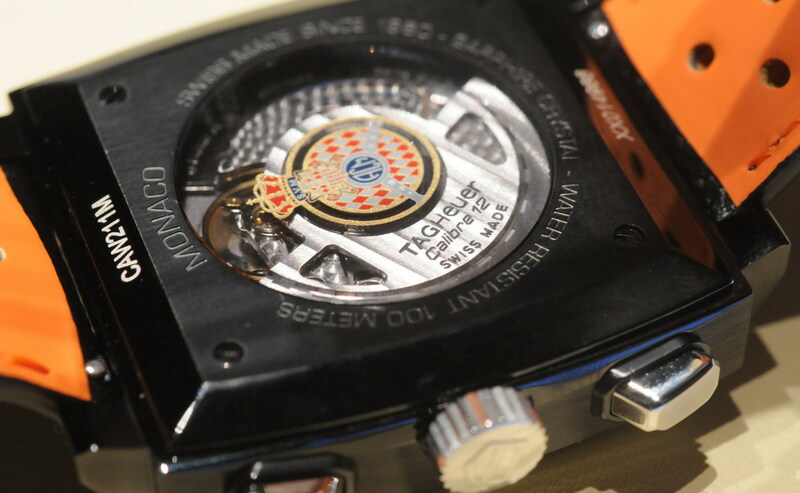 The case-back is smoked sapphire, and bears the Heuer family coat of arms and Jack Heuer’s signature, both as we saw on the Jack Heuer 80th Birthday Carrera. We can assume that the bullhead orientation of the Mikrogirder was required by some technical aspect of the unique movement. In the case of the Jack Heuer 50th Anniversary Carrera, the bullhead orientation results from having a tri-compax design with the Calibre 1887 movement. In other words, the movement is rotated, so that the registers are at 3-6-9, resulting in the crown and pushers being at 12. As with the 2004 and 2012 “Jack Heuer” Carreras, the Jack Heuer 50th Anniversary Carrera employs what must be Jack’s favorite colors. The center of the dial is silver; the registers are a contrasting darker gray, and the outer band of the dial is “sunray anthracite”, carrying applied steel markers. 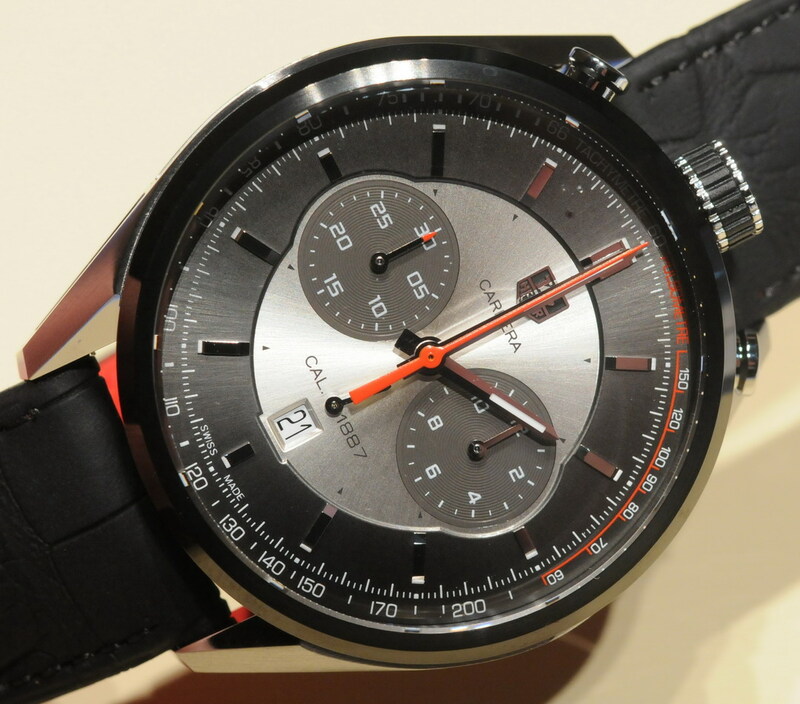 The inner bezel (flange) has a combination tachymeter and pulse scale. 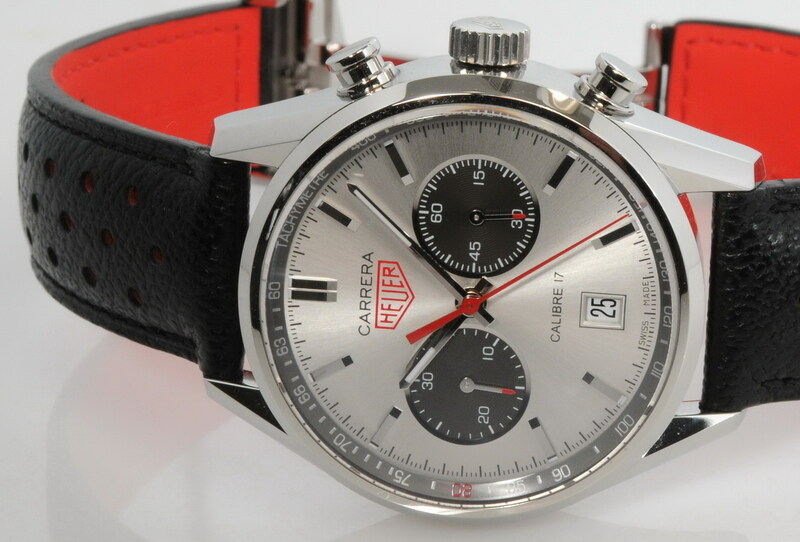 As on Jack Heuer’s earlier Carreras, accents are red. I am completely “taken” with the Jack Heuer 50th Anniversary Carrera: TAG Heuer’s use of the stopwatch motif in its Haute Horologerie collection – Mikrograph, Mikrotimer and Mikrogrider – struck me as nothing short of brilliant. 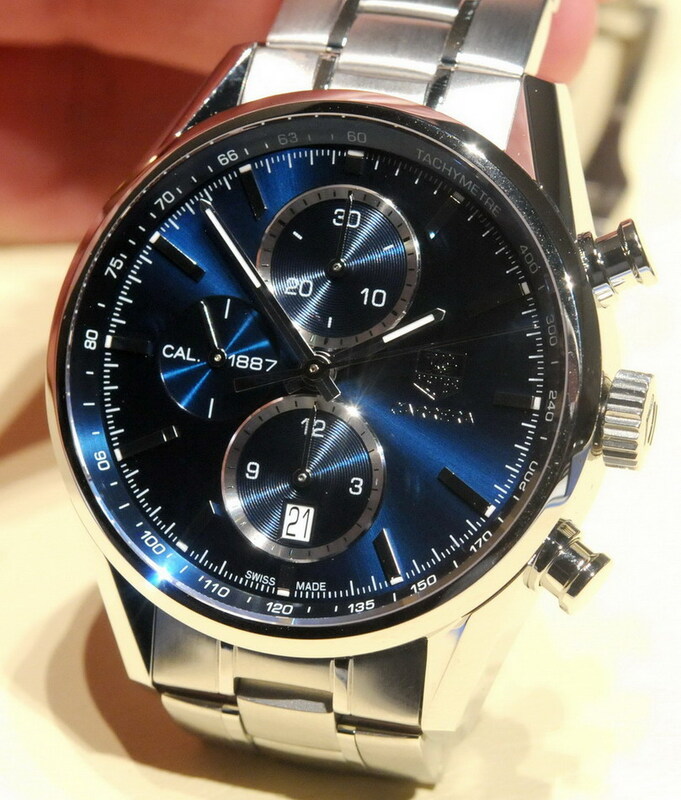 Now we have this motif in a Carrera that will be part of TAG Heuer’s primary catalog. In late 2010, I bought one of the first available Calibre 1887 Carreras, and have been very happy with this movement. Every stop, start and reset confirms that this is an excellent movement. Having the Calibre 1887 movement in a Jack Heuer Carrera is the best of all worlds, for an affordable Carrera. 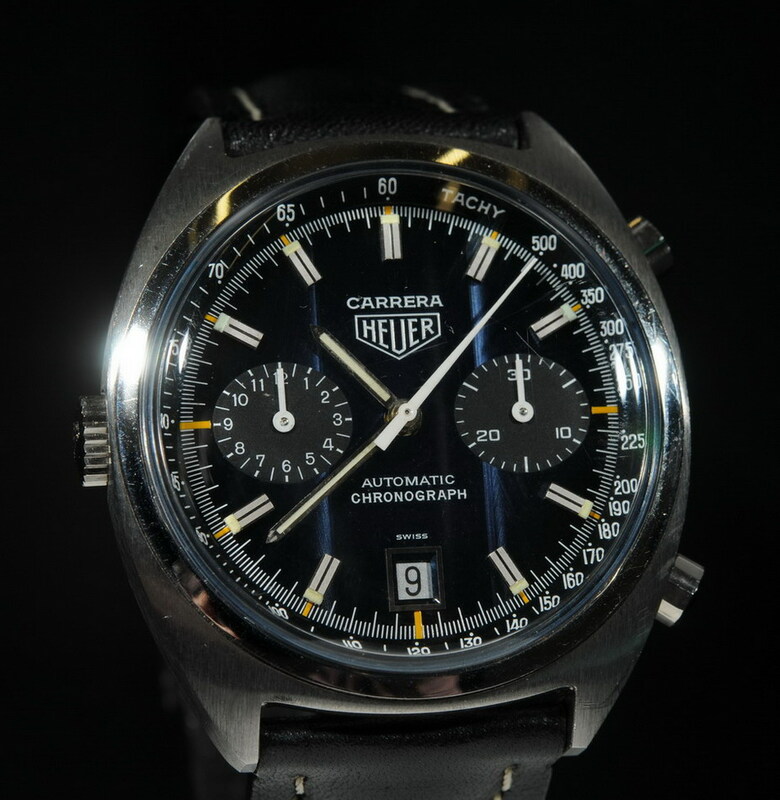 In December 2012, I borrowed a Carrera Mikrograph for a week, but was not in the market for a $50,000 watch. 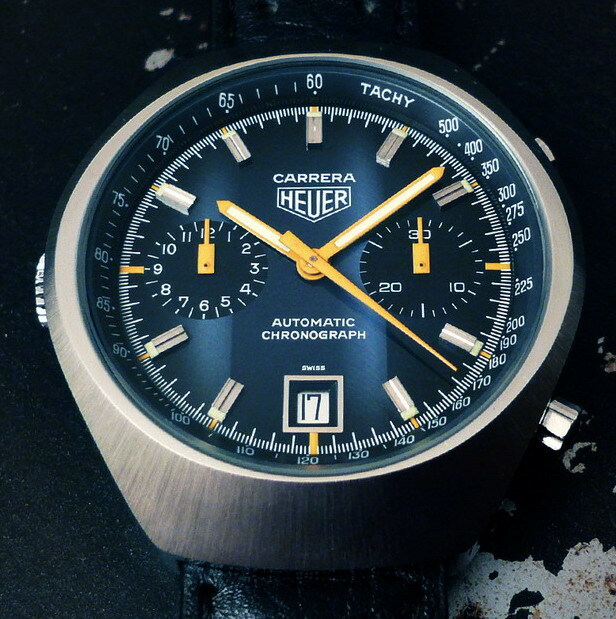 The Jack Heuer 50th Anniversary Carrera gives me many of the elements that I admired in the Mikrograph, at a price that will be in line with TAG Heuer’s current line-up of Calibre 1887 Carreras. Yes, I know . 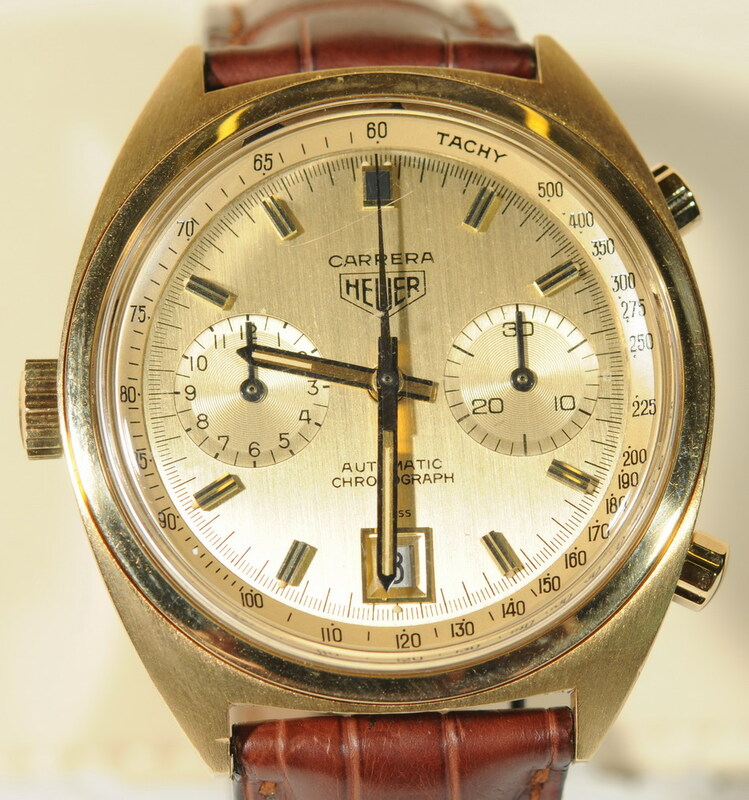 . . the Jack Heuer 50th Anniversary Carrera won’t offer the 1/100 second precision or 18 karat gold case of the Mikrograph, but it looks fantastic on my wrist and won’t require mortgage financing (and I can use a digital watch when I need 1/100th timing). I’m sold on this Carrera . . . can’t wait for them to be available for purchase, in Fall 2013. 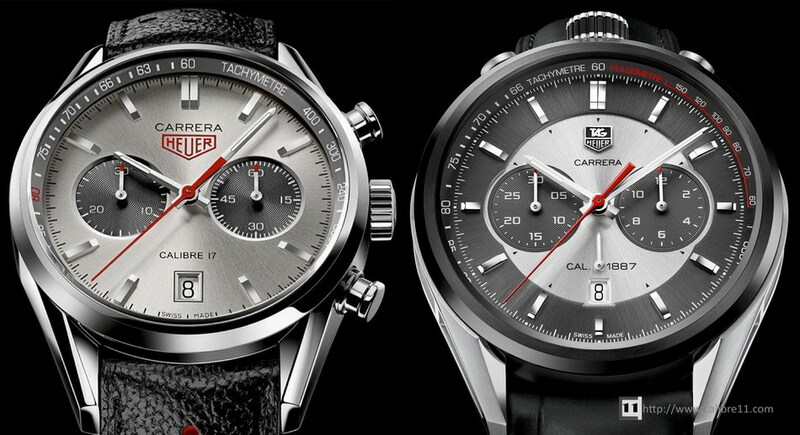 For additional information about the Jack Heuer 50th Anniversary Carrera, have a look at the TAG Heuer Website or this “First Look” on Calibre11.com. It seems that for all the major watch shows and events, the brands try to introduce at least one or two watches that will have the big “Wow!’ factor, evoking the reaction, “Oh my god, did you see the [fill in name of this year’s sensational watch]” and grabbing headlines around the world. For me, this “Wow! 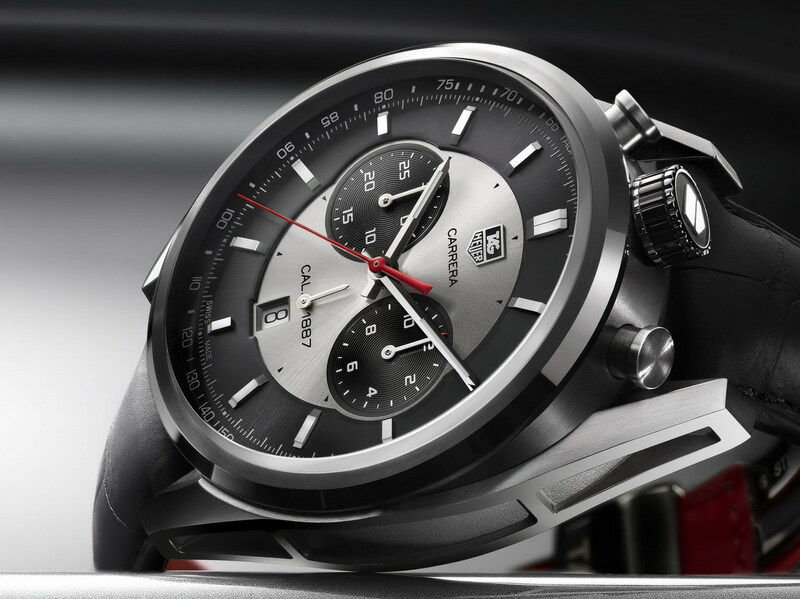 Watch” of the Carrera 50th Anniversary celebration was TAG Heuer’s Carrera Carbon Matrix Composite Concept Chronograph (which we may simply call the “Carbon Carrera”). The Carbon Carrera has the same “bull-head” orientation and skeletonized lugs as the Jack Heuer 50th Anniversary Carrera, but the Carbon Carrera is made entirely of an advanced carbon matrix composite. No doubt, there is a “big brother” / “little brother” theme here, the brooding all-black Carbon Carrera contrasting with the lighter, more cheerful Jack Heuer model. The composite used for the case is an isotropic matrix of carbon fibers that is only .007mm thick, and the entire case (without the crystal) weighs a mere 19 grams. We see three variations in the finish of the carbon, with the dial having a “weathered” look that glistens as the light catches the dial at different angles, the lugs have a marbled / mottled finish, and other surfaces have a relatively smooth finish. The Arabic numerals and Daytona rings are polished steel and, together with the polished steel hands, provide a bright contrast with the matte finish of the black carbon. We should expect this Carrera to be priced above the current line of Calibre 1887 Carreras, but well below what some other brands are charging for ultra-light watches made of advanced materials. We can expect to see the Carbon Carrera in the CHF 12,000 to 14,000 range, likely to be twice the price of the Jack Heuer model. In terms of its heritage, the Carbon Carrera has strong roots. 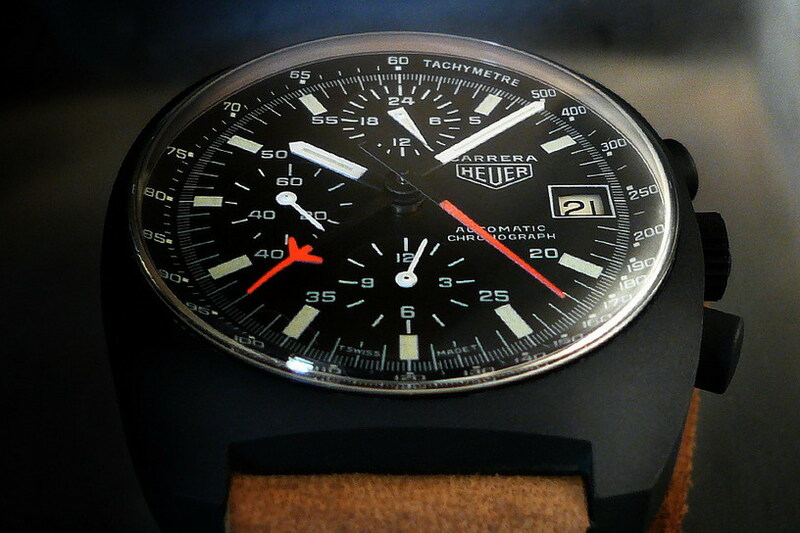 Heuer issued several of its models in black PVD (for example, the Monaco, Montreal, Monza and Pasadena), and there were at least two Carreras produced in black PVD, the barrel-shaped Reference 110.571 (in the mid-1970s) and the cushion-shaped Reference 510.511, which was one of the last of the 1980s Carreras. 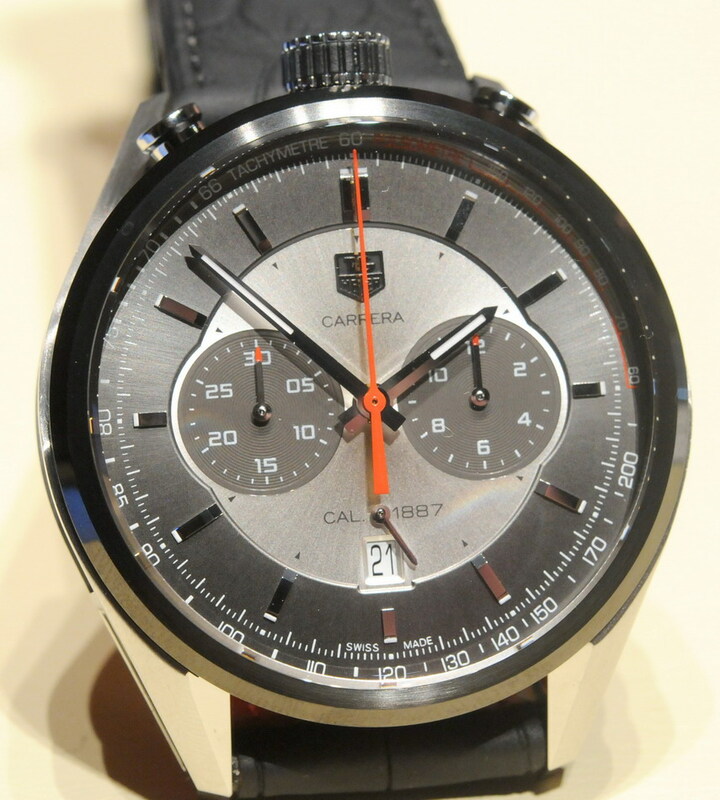 Read more about the Carbon Carrera on TAG Heuer’s website or this “First Look” on Calibre11.com. As TAG Heuer continues to build out its line-up of Calibre 1887 Carreras, one of the watches featured in Geneva was a 41 millimeter version of the Calibre 1887 Chronograph, with a bright blue dial. While several of the recently-introduced models of the Cal 1887 Carrera have numerals for the hours and busier dials and registers, this blue model has a relatively clean dial with simple applied steel markers. Now that TAG Heuer has moved from black and white into the box of colors, this new model suggests that we might see some colorful Calibre 1887 Carreras. There is good precedent for deep blue Carreras, as shown below by the Reference 110.253B and 110.573B models. For an interesting review of Heuer’s use of colors, see Mark Moss’s review of the Calibre 1887 Carrera Blue (published on Calibre11.com), and for additional details about the watch, see TAG Heuer’s website. 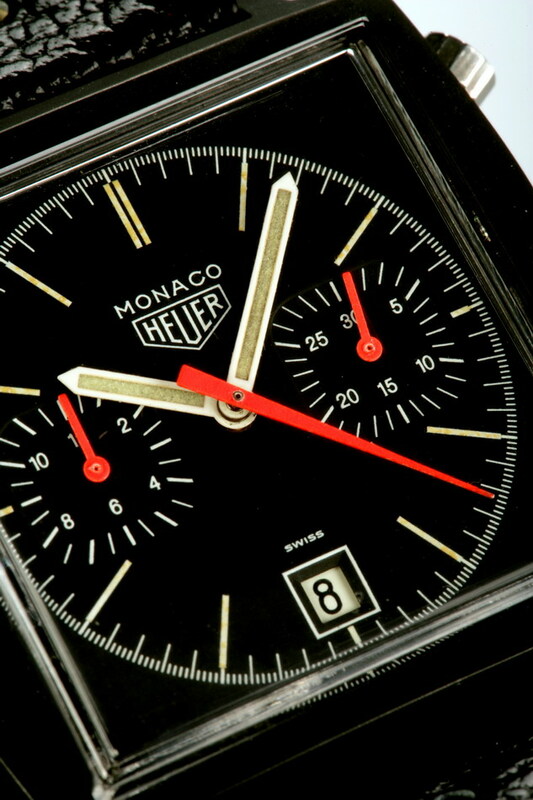 Since it first re-issued the Monaco in 1997, TAG Heuer has produced the Monaco in a variety of styles and sizes. 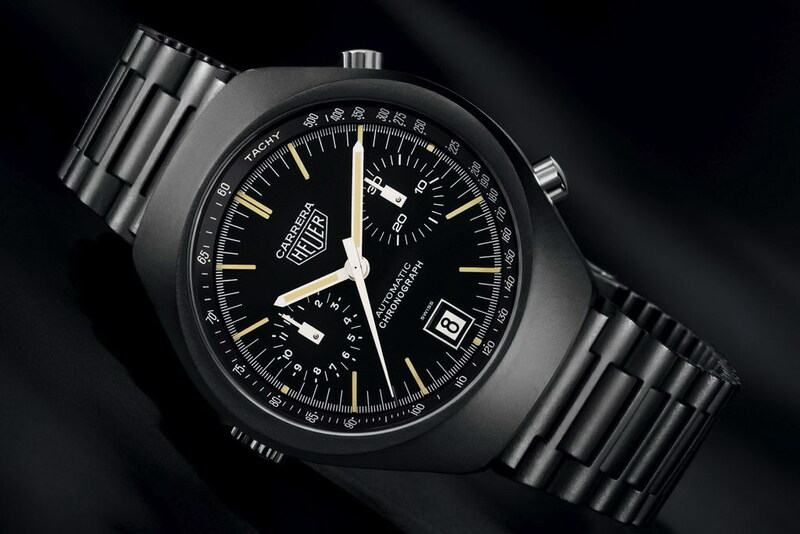 Some have closely resembled the original “Steve McQueen” Monaco, while others have gone in entirely different directions, with a variety of dial configurations, case materials and stripes. All the while, the vintage crowd has been begging for a PVD version of the Monaco, as close as possible to the prized original. 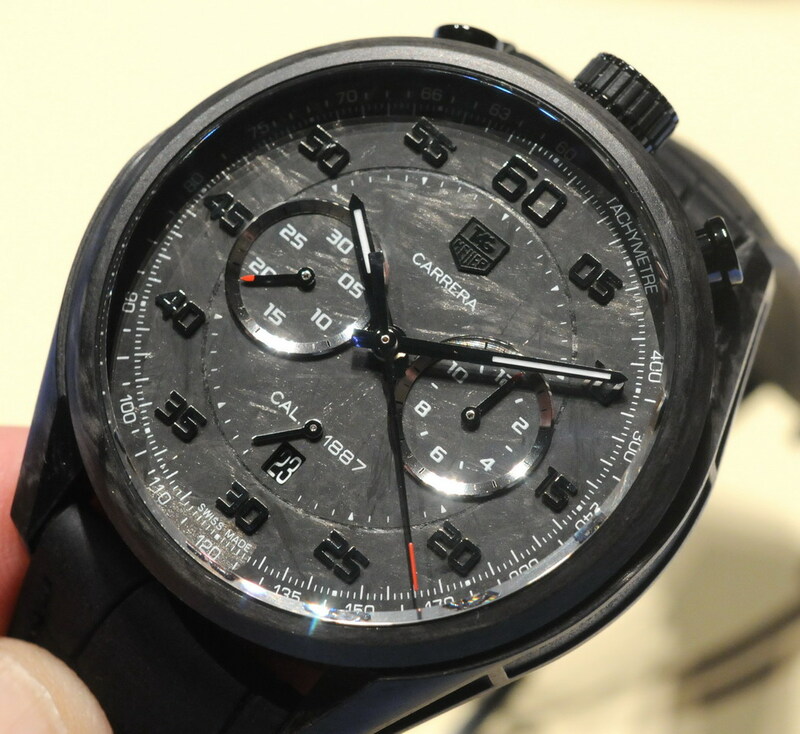 At the “50th Anniversary of the Carrera” celebration, TAG Heuer introduced its first black PVD Monaco intended for its main line-up of chronographs. (There is a black PVD version of the Monaco 24, but this model is sized (and priced) well above the mainstream Monaco line of watches). 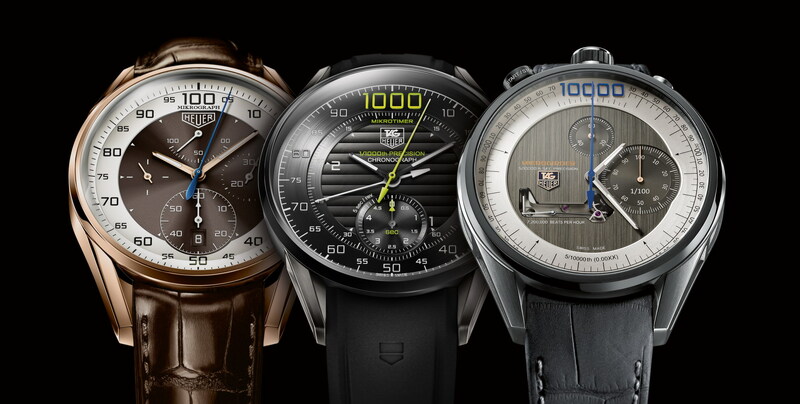 TAG Heuer’s newest addition to the Monaco line-up has a titanium carbide coated steel case, with brushed and polished finishes, measuring 39 millimeters. The pushers and crown are bright steel, with no coating. 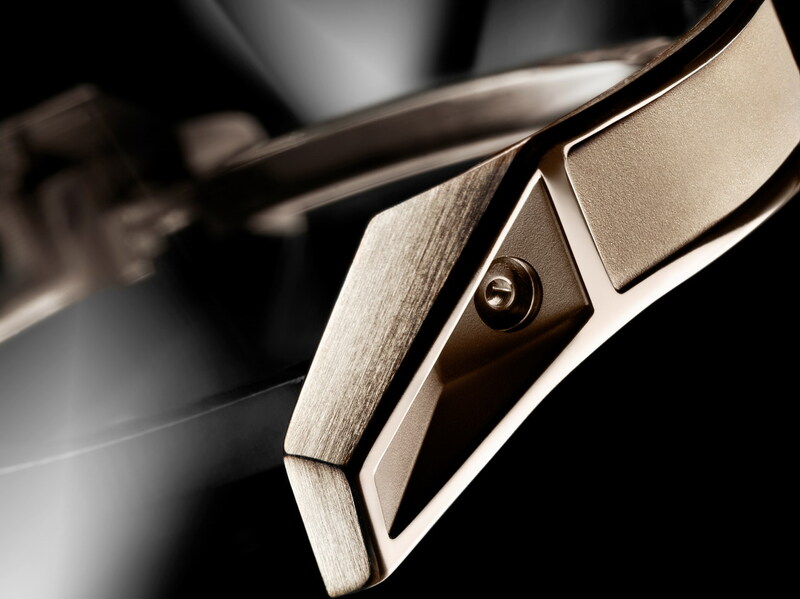 The movement is TAG Heuer “Calibre 12”, an ETA 2892 base movement with a Dubois Depraz chronograph module. The case-back has the logo of the Automobile Club de Monaco (ACM). 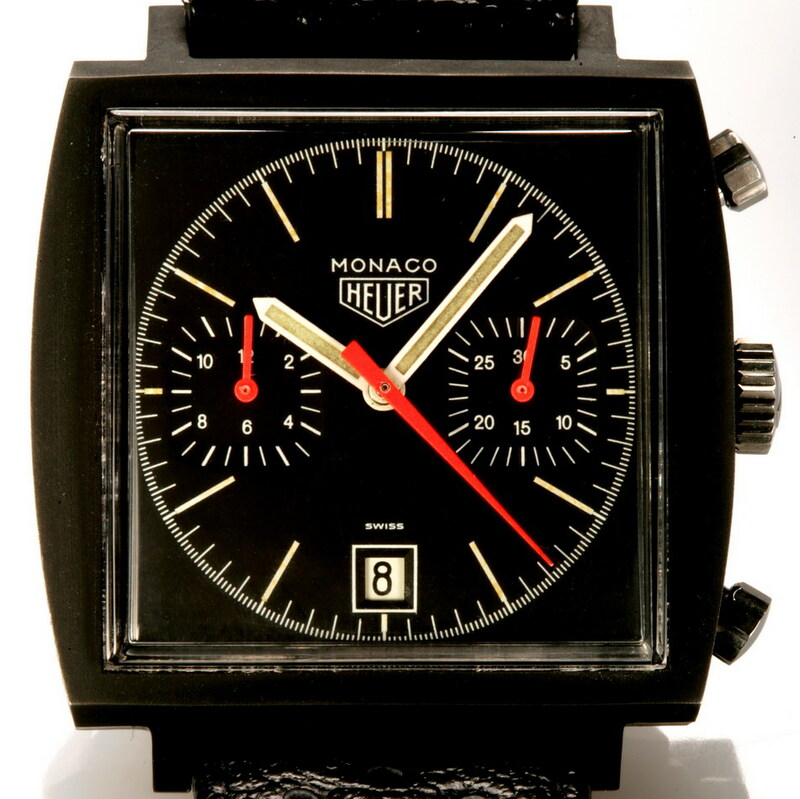 While I believe that this new Monaco is a good addition to TAG Heuer’s current model line, I am fairly certain that it will not find favor with the vintage crowd. These collectors will want (a) more of the orange accents and (b) less of the shiny elements (hands and markers). 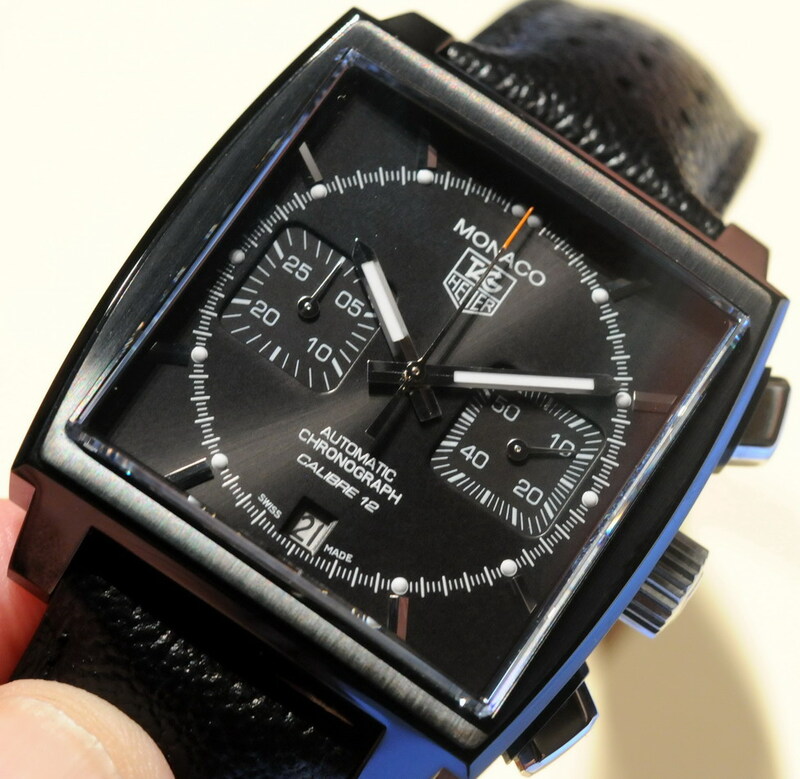 In short, while they may tolerate some tweaking, the closer TAG Heuer can come to the original black PVD Monaco, the better reception the watch will receive from the vintage crowd. 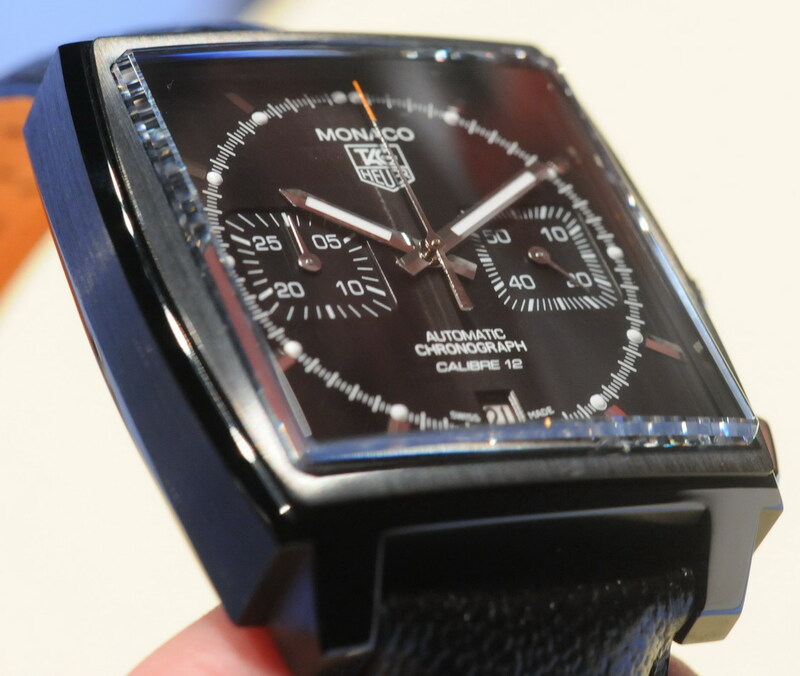 My own view is that while this new Monaco does not evoke the vintage PVD Monaco, TAG Heuer is moving in the right direction. Now that it has developed this case, developing the “right” dial and hands should not be that difficult. 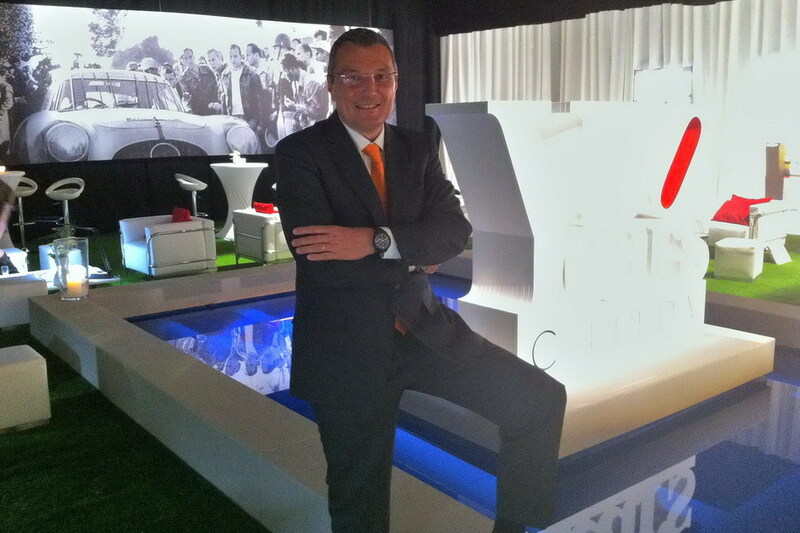 Mark and I had a one-hour conversation / interview with Jean-Christophe Babin, CEO of TAG Heuer. Perhaps energized by the surroundings, Jean-Christophe was talking fast and we covered a lot of subjects – the importance of haute horologerie for TAG Heuer, what we might expect from TAG Heuer’s next production movement (code-named the “Cailbre 1888”), Jean-Christophe’s most important accomplishments of his first 13 years with TAG Heuer (and his outlook for the next 13 years) and how the vintage community can contribute to all this. Of course, we asked whether we might see another re-issue of the Autavia. This interview will be the subject of a separate write-up, so stay tuned for much more from Jean-Christophe. Mark and I chatted with Guy Semon, TAG Heuer Vice President of Science and Engineering, for a few minutes, and covered a lot of ground about the technical aspects of TAG Heuer’s haute horologerie timepieces, ranging from the Carrera Mikrograph (1/100 second precision), to the Mikrogirder (5/10.000 second timing), all the way up to the MikrotourbillonS, with its two tourbillons and 75 jewels. Check these profiles of Guy Semon in IW Magazine and Europa Star. 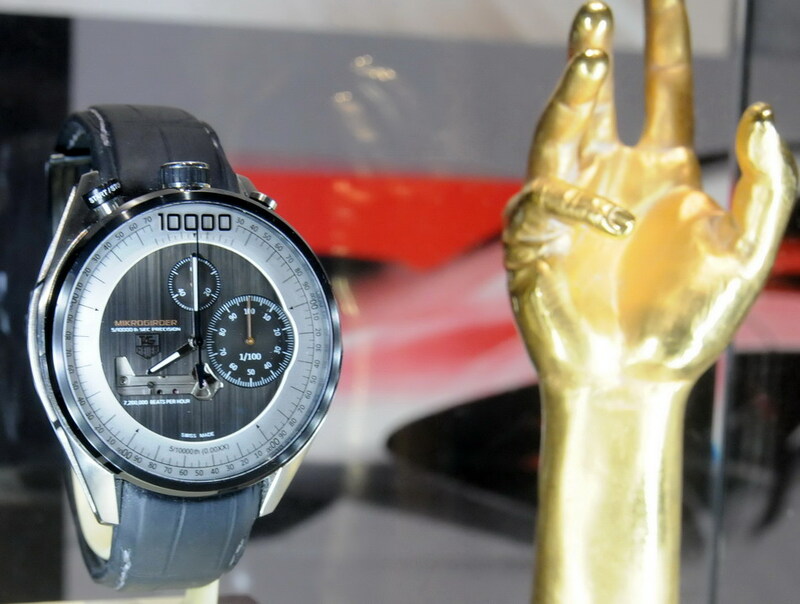 TAG Heuer’s launch of the Carrera’s 50th Anniversary celebration was absolutely superb. 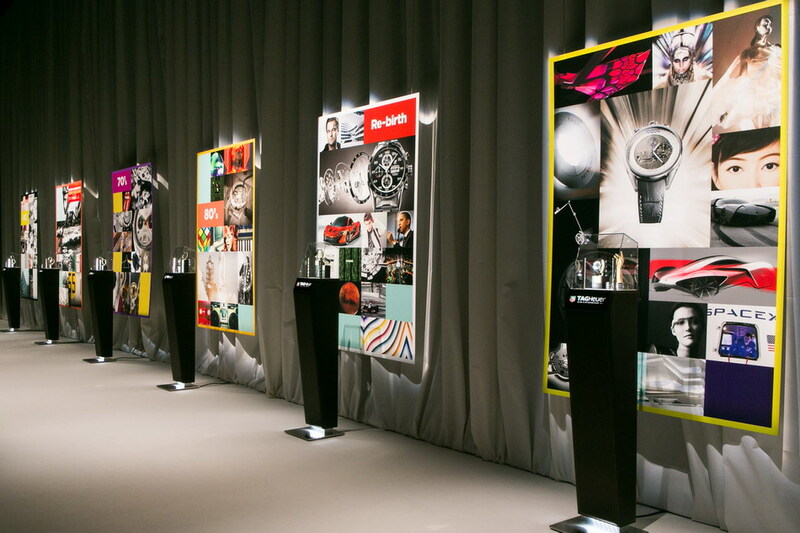 TAG Heuer produced the sort of exhibition that we would expect. Of course it was beautiful to the eye, but the setting also served to explain the origins of the Carrera, being equal parts motorsports and modern design. On the left hand side of the exhibition hall, we saw darker tones and the need for precision, legibility and reliability in motorsports timing. On the right hand side, we saw a bright new generation of designers that allowed Jack Heuer to draw an entirely new chronograph that would become an object of timeless beauty. But the celebration of the Carrera’s 50th Anniversary was about much more than the heritage of the Heuer brand or the Carrera model. 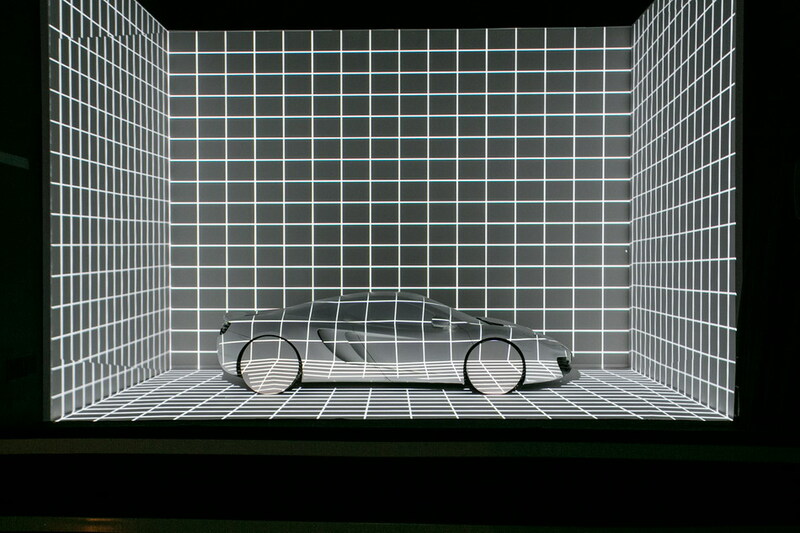 In addition to seeing the heritage of the Carrera, we also saw its future. This future also represents a juxtaposition of elements. On the one hand, we see incremental extensions of the model line, that will be available to enthusiasts around the world — a beautiful blue dial, a ceramic bezel with tachymeter scale, the use of a carbon composite case and the rotation of the Calibre 1887 to create a bullhead style. At the other extreme of haute horologerie, we see the “Mikro” models that are at the forefront of mechanical chronographs, providing new levels of precision and accuracy. Perhaps these are the same forces that inspired Jack Heuer in the 1960s, or even his grandfather in 1916, or his great grandfather in 1887. There is the “black and white” of the Heuer heritage — a solid foundation of engineering on which Heuer developed the oscillating pinion, the first 1/100 second stopwatch, a new chronograph for racers, and the world first automatic chronographs. But there is also the “color” of the brand’s future – the ability to develop entirely new types of timekeeping and entirely new styles of watches. This color is not being used only in the stratosphere of haute horologerie, but it is being used in the spirit of innovation that is driving TAG Heuer’s entire product line. Fifty years after Heuer launched the first Carrera chronograph, TAG Heuer is drawing on both its heritage and on haute horologereie, the company is painting in black and white and in color, relying on engineering and creativity, all to take the Carrera into its second 50 years. 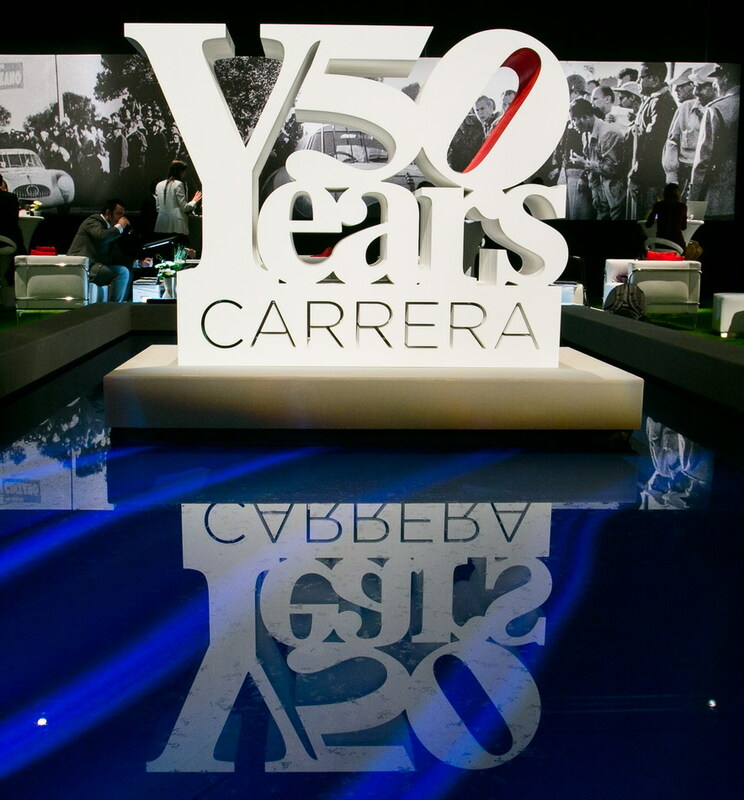 The “50 Years of Carrera” shows us the accomplishments of the first 50 years of the Carrera; it also leaves us enthusiastic about what the Carrera will become in its its second fifty years.